The new RCS prospectus is here! 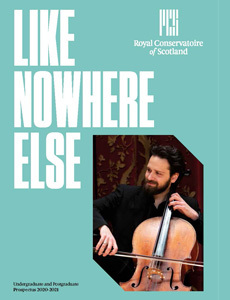 Our new interactive prospectus lifts the curtain on Scotland’s national conservatoire, with pages that burst into life, with exclusive interviews with groundbreaking and globetrotting graduates, who share what it means to study at one of the world’s top performing arts education institutions. Using the Zappar app, which is free to download, the prospectus comes to life when you scan the Zappar icon, unlocking exclusive bonus features of graduates sharing their experiences of studying at RCS. Study at Scotland’s national conservatoire and you’ll be part of a dynamic and international community which embraces the power of creativity. You’ll have the opportunity to develop your own potential in a world-class learning and teaching environment, in an institution recognised as a global leader in performing arts education (QS World Rankings 2016-2018). 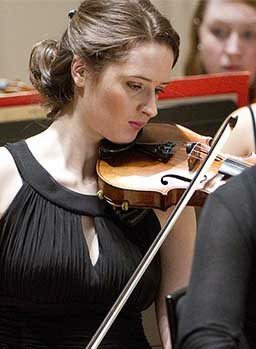 Choose to study at RCS and you’ll live in Glasgow, a City of Music, that is home to the national orchestras, opera, ballet and theatre companies, all of which actively collaborate with our students. Find out why we think RCS is the best place to study the performing arts and download our prospectus today.